Weekdays tend to be rather by-the-book. We have the regular things that we do, people we see and boring ol’ house work that gets thrown into the mix. But weekends…well…they’re another story. Jake is home, looking after Molly becomes sooo much easier and we can go exploring…family style! Whilst living in New York is spectacularly awesome, we are hindered by the lack of access within the transport system. Yup…you guessed it, few elevators or escalators and don’t even think about trying to find a bathroom with baby changing facilities…rah rah rah rah rah! There is so much to see and do in and around our neighbourhood, and we are so incredible fortunate to live in a place that offers to much variety for our daily jaunts out and about. But…every now and again I like to go into the big city, be part of the hum drum and the countless amounts of tourists busying the Manhattan sidewalks. 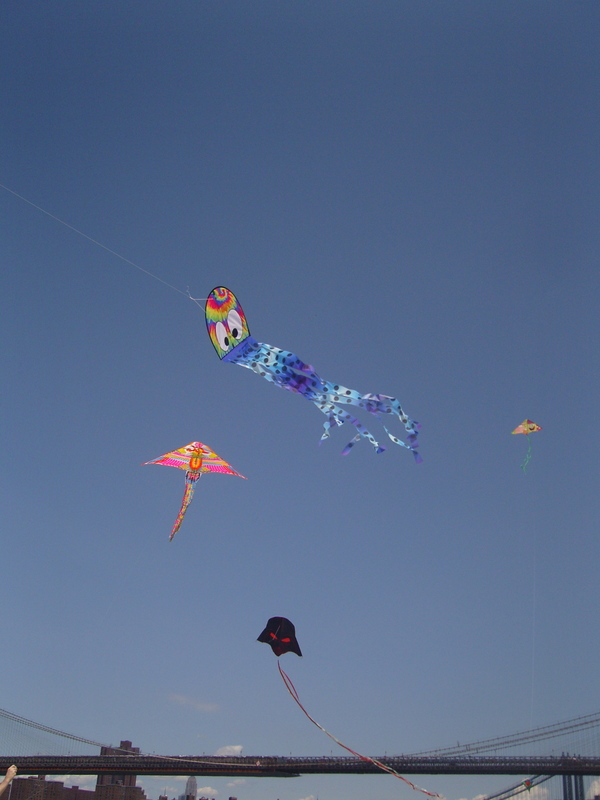 Last weekend from twelve to two fifteen, a quaint little kite festival at the Brooklyn Bridge Park in Dumbo with nap time/playtime in the park afterwards. This weekend; we rode the subway into town, picnicked in central park and headed to The Met for some culturalness. Wonderful. The gentle (or not so,in some instances) jogging of the train sent Molly into a deep slumber, the sleep even continued as we paraded her up and down the escalator/elevator lacking subway station steps like some kind of ancient day princess! Honestly, she doesn’t know how good she has it! Come two fifteen, we took an elevator (Huzzah, The Met has elevators! 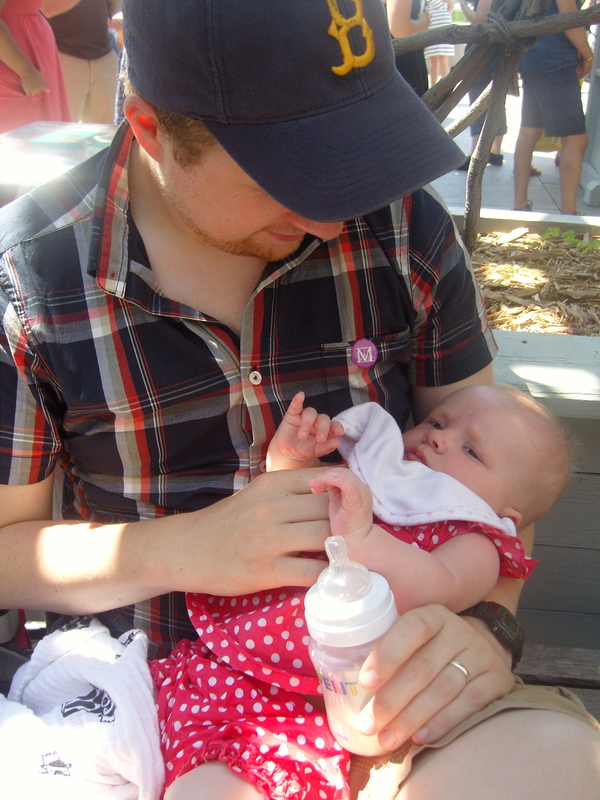 (No baby changing facilities though…grrr!)) up to the roof and enjoyed the view of the Manhattan skyline whilst we fed Molly. Every summer The Met rooftop plays host to a new piece of sculpture. 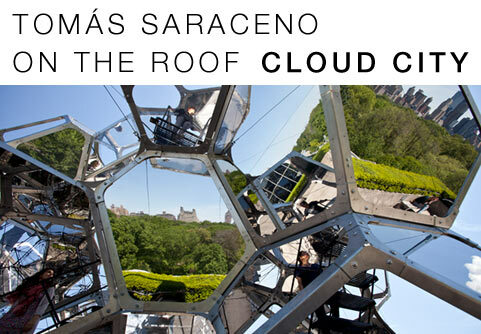 This year, Argentinian artist Tomas Saraceno was commissioned to build Cloud City a climbable sculpture that allows the viewer/participant to enjoy stunning views of the city. My favourite piece of the day? 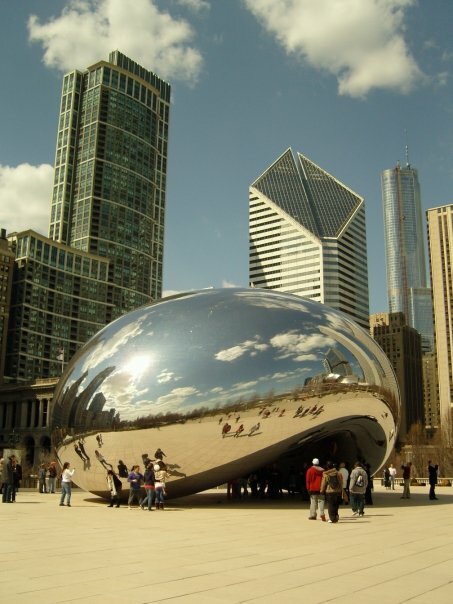 Anish Kapoor’s ‘Untitled’. 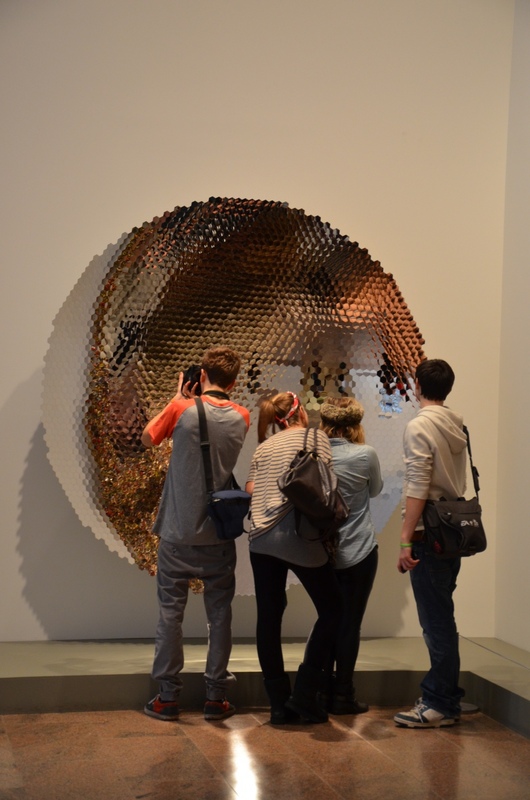 A large mirrored dish. Stunning. 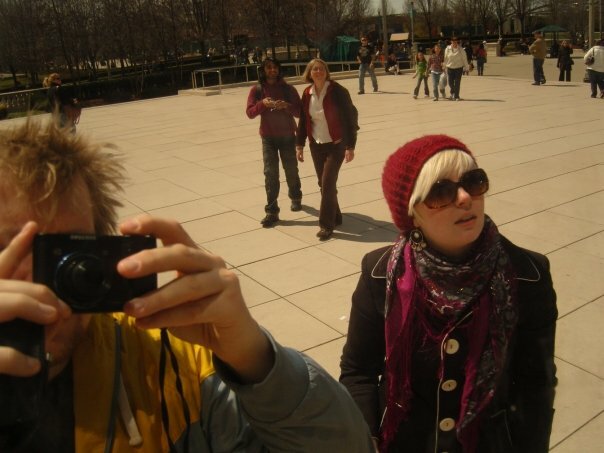 We loved Cloud Gate when we visited Chicago in 2009 (look at Jake’s hair! ), was great to see some more of his work. Interactive, just how I like it. 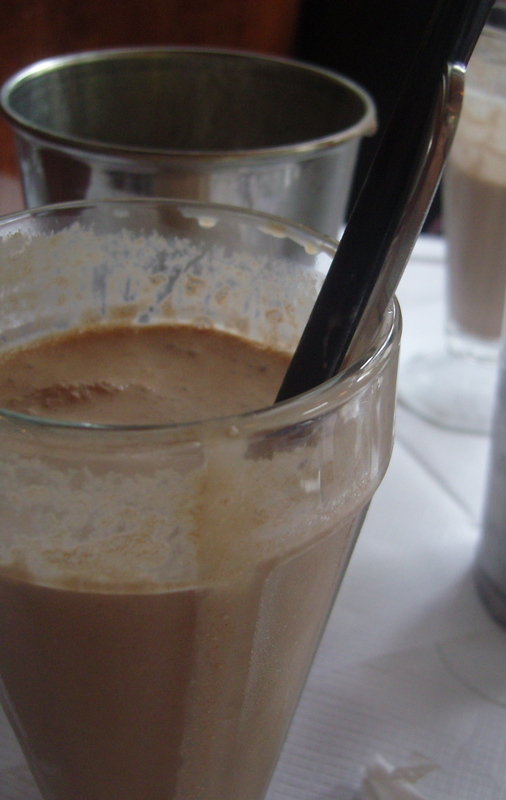 To finish….the BEST best best best BEST chocolate milkshake I have ever tasted at The Brooklyn Diner. Old fashioned diner loveliness with prices to match. So worth it though. 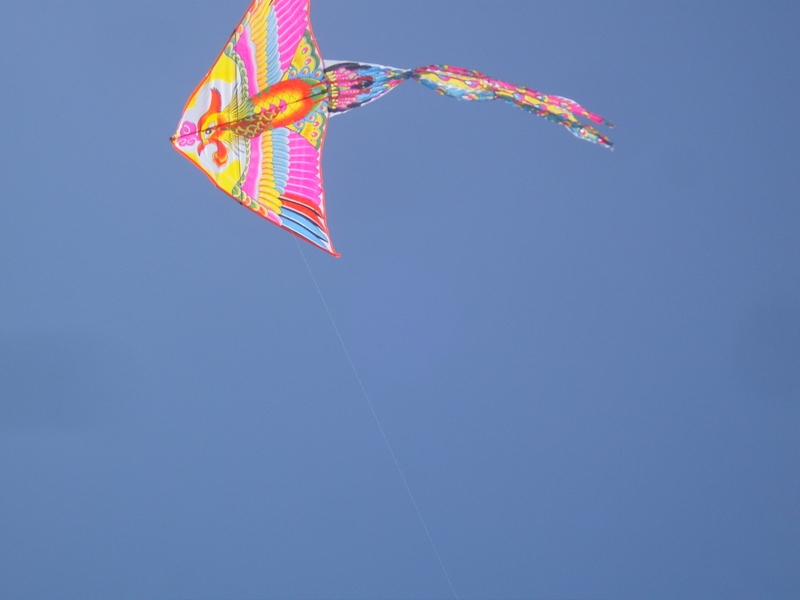 02 Jul	This entry was published on July 2, 2012 at 4:59 pm and is filed under Uncategorized. Bookmark the permalink. Follow any comments here with the RSS feed for this post.